Or spend 100K on wine that you'll never get to drink all of it. Or @$4 a day, millennials will spend $100k in coffee in their lifetimes. Damn we are really making a case that there is no depreciation on cars in general. You can laugh with the sinners or cry with the saints. ... there's no hangover with Candy. Ah, you know her, too? I grew up in Lansdale, PA! Small world. I assume you went to North Penn? I did not, but the wife and kids are, or will be “LC” grads ! Until LC plays NP in football, then it is a whole other thing. Oh, and to keep the thread on-track, I'd say yes, get an XKR. I have the XK and I sometimes suffer from supercharger envy. ... You can laugh with the sinners or cry with the saints. You'd cry, too, if you were screwed out of playing in the Super Bowl. As we are here in Louisiana. Plus I am originally from outside of Philly, so doubly sad - neither Eagles or Saints in the big game. I don't get paying for coffee daily... Much prefer having a coffee at home and then start the day. Hats off to Starbucks convincing the world they need their product every day. Starbucks proves that P.T. Barnum was right - there's a sipper born every minute. If you're a Starbucks addict, you'll be cured after one sip if you drink it black. Bitter and flavorless, but it'll put hair on your chest - on the inside! You dont think the beer industry was going to take that lying down. Constellation brands invested $3.8 Billion in cannabis grower. Can you imagine how much cannabis they expect the kids to consume to spend that much. What was this thread about anyway. Looked at over 75 XK8's and XKR's. Required a CarFax on each. Did not limit the search by distance. Had a 3rd party inspection company do eight full inspections and reports. Got down to three cars in four months. Purchased a 2000 XKR Convertible with 50k on it for $3,000 under asking and split the shipping. Performed the following myself once I got it. 8. Restored, repaired, and re-dyed all leather. I will put less than 2500 miles a year on this one and view it as I would any investment. Last edited by Jon Frey; 01-23-2019 at 12:37 PM. I dunno about the "Investment" part. What was your total outlay for such a car? Maybe $10,000 max? That's probably about all you'd be able to sell it for in the next 10-20 years. Maybe past that it'll go up, but the way these things tank I'd be surprised. There is one for sale near me, though with 58,000 miles, for $7,900. I've seen them for less than that. I sold my XK8 for $8,600 about .... five (???) years ago, and it took me FOREVER to find a buyer. Like, six months. The first guy who actually looked at it almost gave me his first-born AND wife so he could buy it, he was so happy. It had 60,000 miles, was very near perfect, but not an -R.
I hope it works out for ya, but I'd suggest to just ENJOY IT and forget about MAKING money. 95% chance ya won't. You do know you're on the XK/XKR (X150) forum, right? Yours is an XK8/XKR (X100). $100k seems low to me. The X100 is a great car, and won't be worth crap for a long time. By the time it is worth something, you'll have spent crazy money over that eternity of time just to keep it usable. 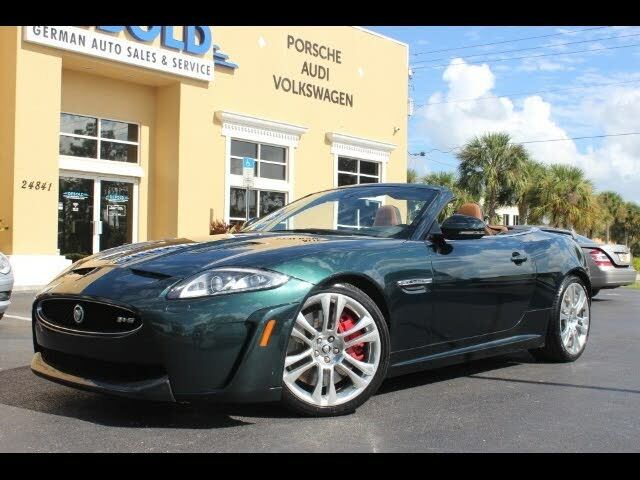 My X100 XKR Convertible isn't worth squat; call it 8k to the right buyer. I enjoy it and will run it into the ground maintaining it to the nines but putting the miles on. They aren't rare by any means; rare is when collectors know your car specifically by name, like "the butcher's car" or "Count Trossi SSK". 5 digits of production ain't rare. I honestly don't know why we are differentiating between the XKR x100 and the XKR x150. I suppose we could do separate forums for XK 400 and XKR SVO too. I actually chose the X100 because it doesn't look as bulky to me (Miata-like), but to each his own. I simply posted an reply in an XKR forum. Appreciate your comments and opinions Cee. I've never lost money on my Jaguars (as long as we don't count the $125,000 plus XJS race car lol). My wife (who is much younger than me) will have to deal with my leavings...good or bad. Sorry if my X 100 offended. The reason it gets brought up is they are radically different cars. While the earlier X150s carried on the 4.2L and ZF6HP6 from earlier, very little else is in common, as they are different platforms, per the manufacturer designation change from X100 to X150. Great cars all around, the article was about the later cars, even later than my early X150, and that's why it got brought up. The depreciation argument, while similar, the X100 is pretty much done and will languish pricewise for a while, and the X150 has more room to fall. Each year for a while, the X150 is going down in price, while you'll be able to buy an X100 for the same price for a while going forward. Thank you 80's. Always helpful to have an expert opinion and explanation. I will certainly consult with my broker before buying another street car.